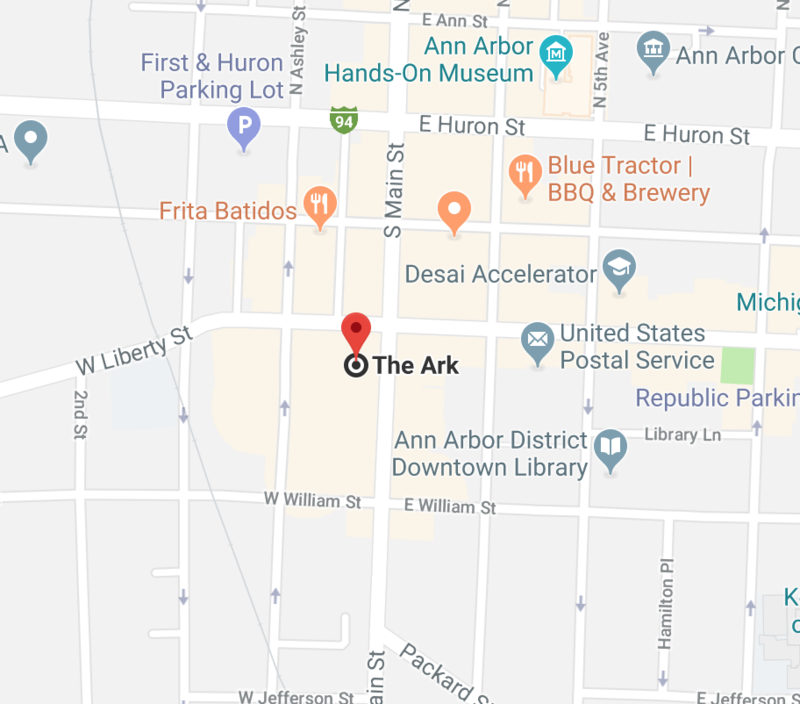 The Ark is located in Downtown Ann Arbor, right on Main Street, between Liberty Street and William Street. Parking: There is paid surface, garage, and curbside-street parking nearby. The Fourth and William Parking Structure is across the street.